COMPANY HISTORY | R.S. Maher & Son Inc. The company officially came together in 1952, when Richard, who was working for another hauler, had the chance to acquire a can body and existing milk route as part of his wages. 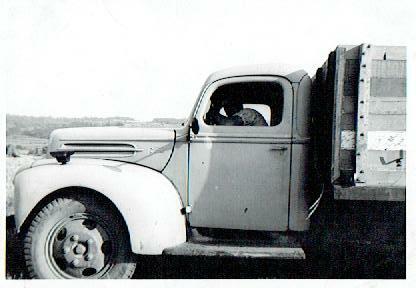 He then purchased a 1947 Ford truck for $500 and subsequently became his own boss. Shortly after that Richard purchased a 1952 Ford and was drawing milk in cans from local farms in Bliss, Pike, Wethersfield and Arcade to the Borden Milk Plant in Arcade. The route would be any where from 250 cans in the summer to just 55 cans in the winter. Smaller farmers would produce from just 1 can a day to larger farms producing 20-25. The milk paid the farmer about 80 cents for every hundred weight. 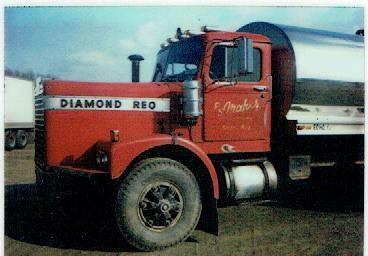 By 1956 the company took on a 2nd truck and by 1958 the company had grown to 3 trucks—one of them being a tanker. By then milk was also being transported to dairies in Buffalo. There was upward of 9 different dairies in Buffalo at that time, some of them being run out of the back of an individuals house taking a mere 3 cans of milk! 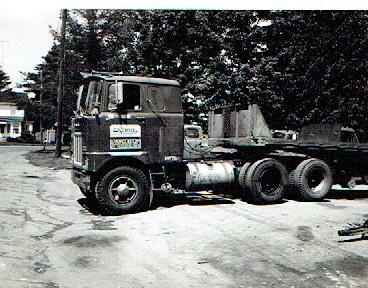 By 1960 Richard had moved the trucks from his driveway to the location we are currently at. He now had 4-5 employees and was expanding into other areas of trucking. He had purchased a tractor and trailer and was hauling produce from area farms to places in the northeast and Ohio. 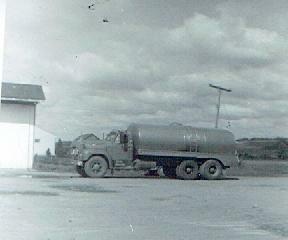 By the early 1960’s transport of milk by cans would be phased out and all milk trucks would be replaced with tankers. Throughout the sixties and seventies the company would continue to grow and equipment would be added. More tractors were added to the fleet along with the introduction of flatbeds to the company. Steel was now being added as a commodity we transported and more states were being visited. By the mid 1980’s things had grown considerably from its early beginnings, including Richard and Bobbie’s children. Lee would join the ranks around 1985 and add his direction to the company. More growth would be on the horizon. Lee would build the company by adding trucks, trailers and drivers. Hauling van and flatbed trailers throughout the 48 states would be the norm and the company was expanding. The office would move into Lee's former house next to the repair shop and office employees along with a full time dispatch staff were added. Late in the 2000's the garage would be expanded and were now performing outside repairs. Soon, tow trucks were added to the fleet to allow a void to be filled in this area. The 3rd generation has since joined the ranks with Steven, Lee's son, working in the repair shop and learning the operation of the company to carry on the company for many years to come. We would definitely recommend R. S. Maher to anyone. They have limited our down time on many occasions whether it's been during the day, weeknights, and weekends. They are friendly people to deal with from the owners to the girls on the phone and the guys in the shop. Interested in sawdust? Check out our website at LVM Materials LLC.